Permanent Fencing Gates Hardware Clamshell packed for easy retail display. Includes 2 JUMBO staples! 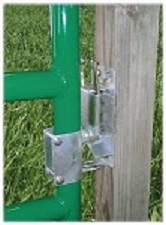 Permanent Fencing Gates Hardware Galvanized. 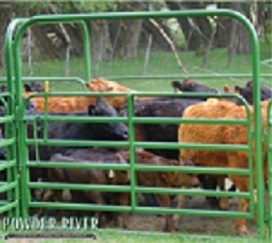 Great for use on our Pasture's Pride Gates! 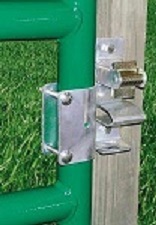 Permanent Fencing Gates Hardware Adjustable for gates of varying height and fits tubular O.D. 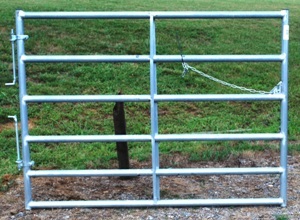 gates between 1-5/8 inches - 2 inches. 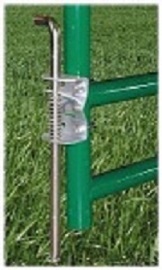 Permanent Fencing Gates Tube Gates 19ga Hi-Tensile Steel. 1.75 inch diameter. Square Corner. 6-rail, 50in height. Hardware Kit Included. 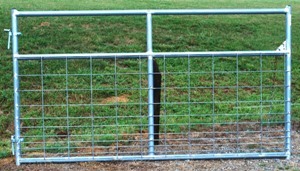 Permanent Fencing Gates Tube Gates 19ga Hi-Tensile Steel. 1.75 inch diameter. Square Corner. 6-rail, 50in height. 2 vertical braces. Hardware Kit Included. 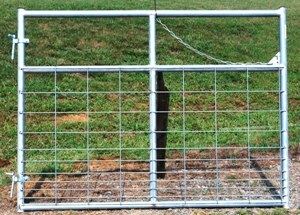 Permanent Fencing Gates Tube Gates 19ga Hi-Tensile Steel. 1.75 inch diameter. Square Corner. 6-rail, 50in height. 3 vertical braces.Hardware Kit Included. Permanent Fencing Gates Wire Mesh Gates 19ga Hi-Tensile Steel. 1.75 inch diameter. Square Corner. Hardware Kit Included. 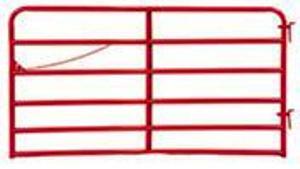 Permanent Fencing Gates Wire Mesh Gates 19ga Hi-Tensile Steel. 1.75 inch diameter. Square Corner. 2 vertical braces. Hardware Kit Included. Permanent Fencing Gates Wire Mesh Gates 19ga Hi-Tensile Steel. 1.75 inch diameter. Square Corner. 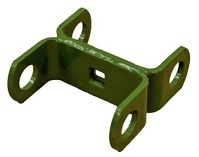 2 vertical braces.Hardware Kit Included. 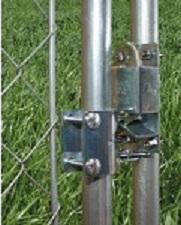 Permanent Fencing Gates Wire Mesh Gates 19ga Hi-Tensile Steel. 1.75 inch diameter. Square Corner. 3 vertical braces. Hardware Kit Included.